DECCAN CHRONICLE | ARAVIND K.S. Balachandra Menon’s movies have always played an important role in his life and it made him attached to films and choose cinematography as his career. 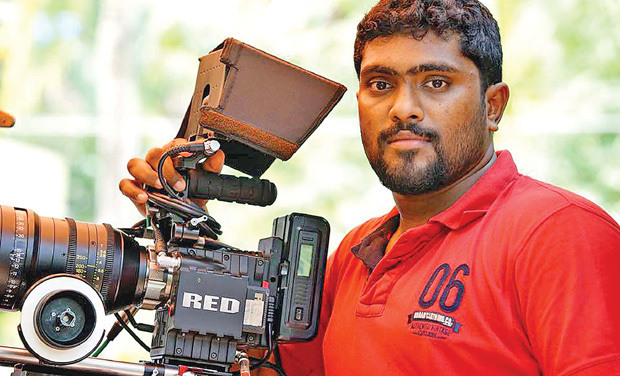 Jemin Jom Ayyaneth, who has cranked camera for five films, is the cinematographer of Menon’s next directorial venture Njan Samvidhanam Cheyyum. “Though I had no clue about which ‘Menon’ he was talking about, within seconds he said that it is Balachandra Menon. I couldn’t control my excitement,” says Jemin, who is the grandson of writer P. Ayyaneth. Balachandra Menon’s first question to Jemin was about how much he was influenced by the portrayal of family relations in the movie Vazhvemayam which was written by Ayyaneth. “It was only after watching the footages of my earlier films; I was finalised as the cinematographer of Njan Samvidhanam Cheyyum. His main demand was to make the visuals realistic and to avoid unnecessary camera movements which create trouble for the audience,” says the cinematographer who considers it as a great opportunity to work with the maker of films like Samantharangal and April 18. Though Jemin was excited when he got the first call from the director, gradually that happy feeling got replaced by fear. “I was a bit afraid till the first day of shoot as I was going to work with a senior person in the film industry. But director V.M. Vinu, my friend’s dad, called me and said ‘there is no point in getting afraid and you will be okay after the first shot’. I became more confident from then on,” adds the 26-year-old cinematographer who is in the pre-production work of John Varghese’s Adi Kappiyare Kootamani. “It is a close to the heart project for me as John is one of my close friends from college days. We have a group, which always discuss about cinema and we are all very passionate about the industry,” he sums up.